We all know that a glass of our favourite wine or a cup of cappuccino is the perfect recipe for a sleepless night. But only a few of us are aware of the fact that there are certain foods that are associated with good sleep. We are often told that our sleeping patterns depend on how much work out we do during the day, the amount of time we spend in the sun and the time we go to bed and rise the next morning. But along with these factors, food also plays an essential role for an adequate sleep. Research shows that good sleep is linked to the type of food you eat and the time when you eat. Are you having sleepless nights and wondering how to overcome this problem? Then check out our list of foods that aid in good sleeping patterns. 1. Walnuts- This popular type of tree nut is known for its numerous health benefits. Walnuts contain Iron, Selenium, Calcium, Zinc, Vitamin C and Vitamin B. This nutrient loaded nut is rich in tryptophan, which is a sleep enhancing amino acid that produced serotonin and melatonin. Both of these hormones aid in sleeping and waking up cycle. Research shows that walnuts produce their own source of melatonin which helps you sleep faster. 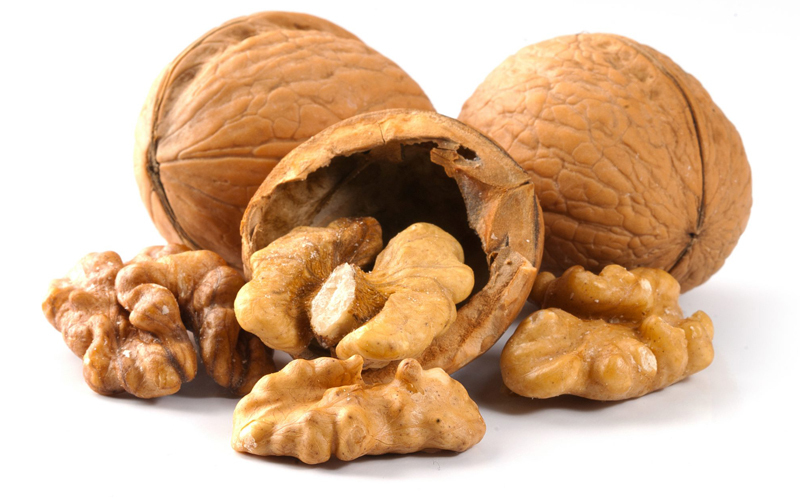 Different ways of eating walnuts: Walnuts can be incorporated in your daily diet in various ways such as toss them into your favourite Salad, top oatmeal with walnuts, sprinkle on top of sautéed veggies, add walnuts to pancakes. 2. 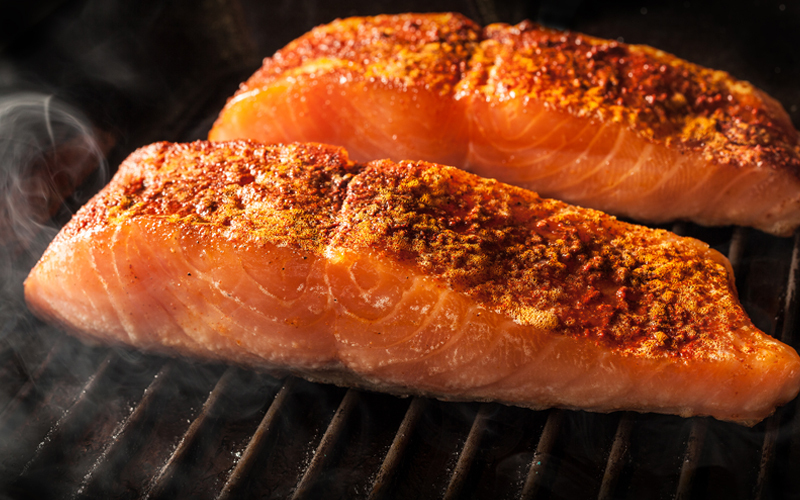 Fatty Fish- Salmon, Tuna, Mackerel and Trout are rich in Omega 3 fatty acids. Some studies show that better sleep is linked to high levels of Omega 3 fatty acids. Fish is also high in Vitamin D. The combination of Vitamin D and Omega 3 fatty acids increase the production of serotonin, which is a sleep enhancing chemical. Different ways of eating fish: Grilled fish, poached, steamed, boiled and baked fish. 3. Kiwi- Kiwi is rich in Vitamin C and consists of antioxidant properties, that help to boost the immune system. Research shows that poor sleep is associated with decreased levels of antioxidants. Since Kiwi is loaded with lot of antioxidants, this superfood aids in better sleep. Kiwi is also high in serotonin, a hormone that is essential for good sleep. 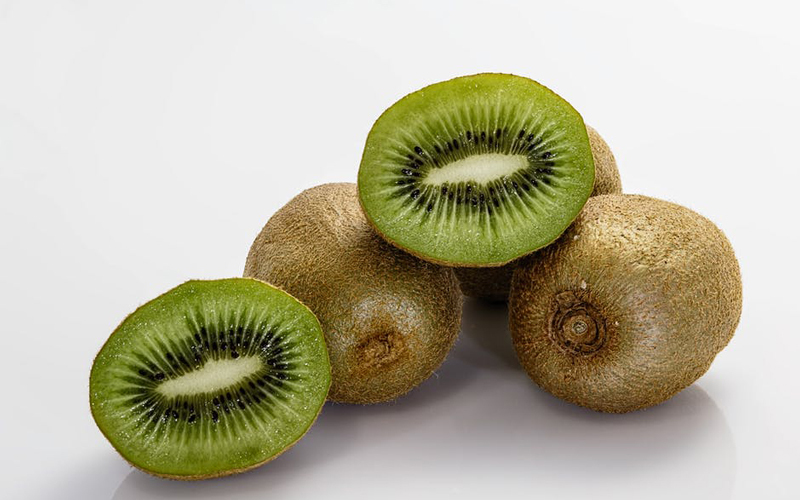 Different ways of eating Kiwi: Add some fresh kiwi in your favourite salad, make a refreshing kiwi smoothie, add kiwi slices to chicken breast. More Foods for better sleep: Almonds, Tart Cherry Juice, Turkey, cheese and crackers, lettuce, pretzels, rice, dairy products, banana, avocado, spinach.